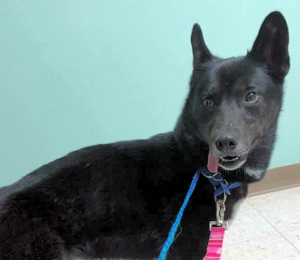 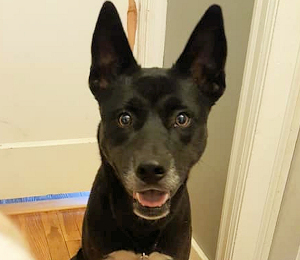 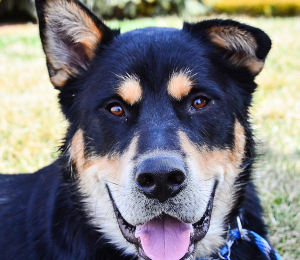 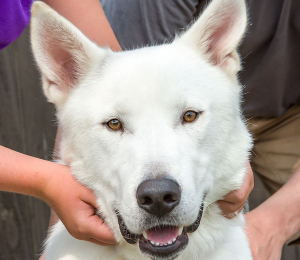 My name is Atlas and I'm seeking a home where I can be your only dog or maybe share my space with a nice female dog who is close to my size. 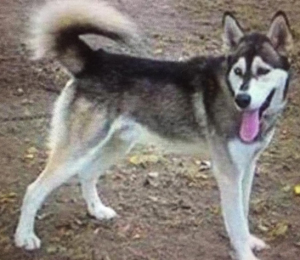 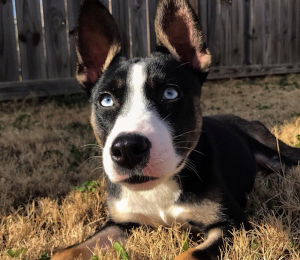 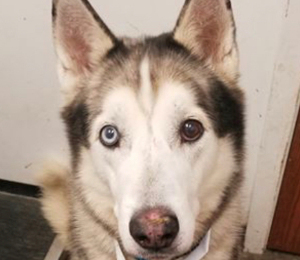 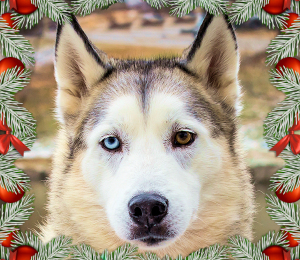 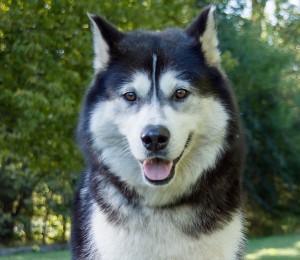 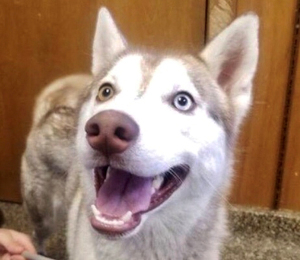 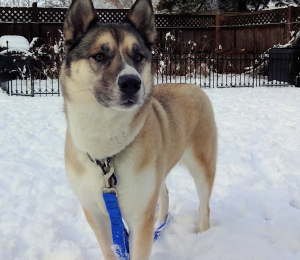 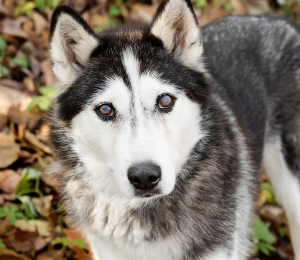 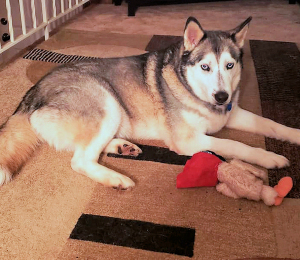 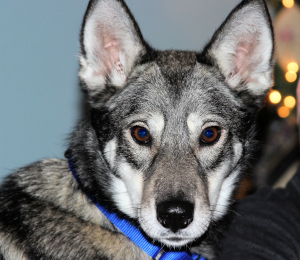 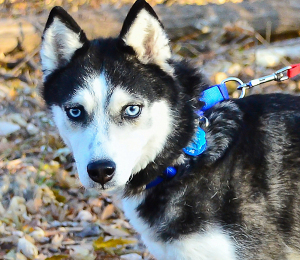 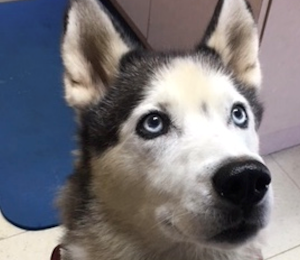 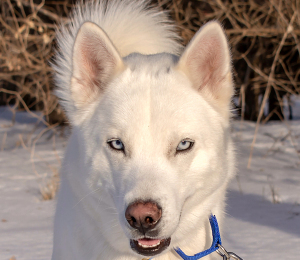 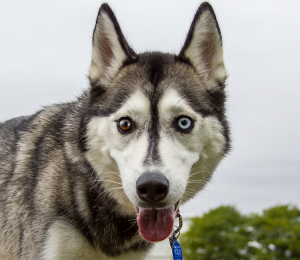 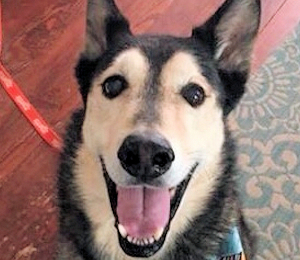 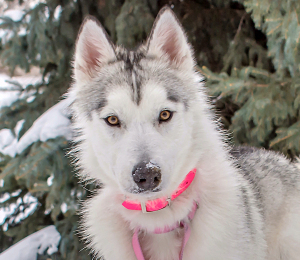 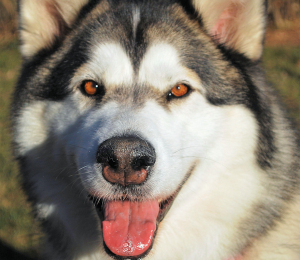 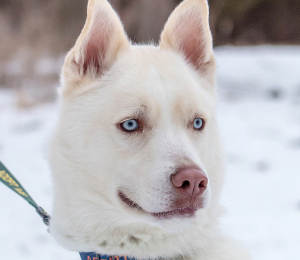 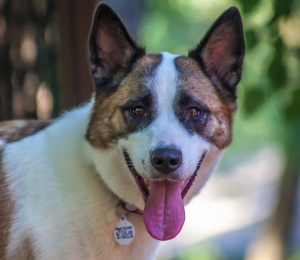 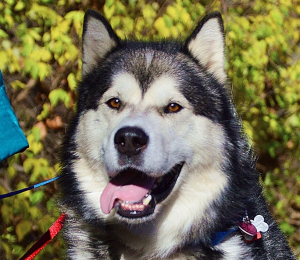 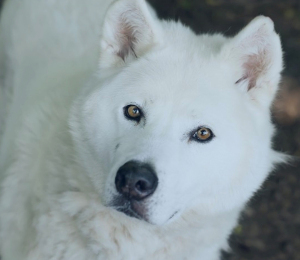 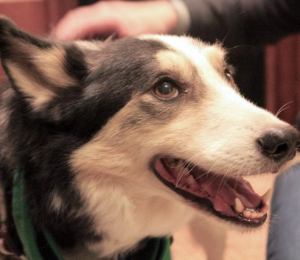 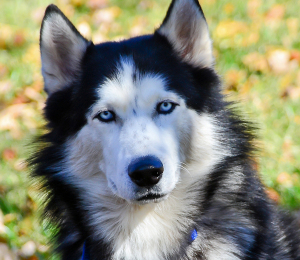 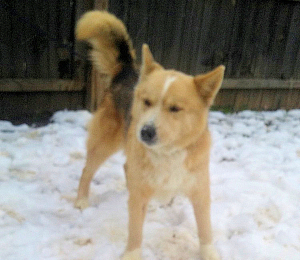 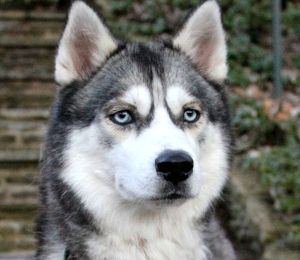 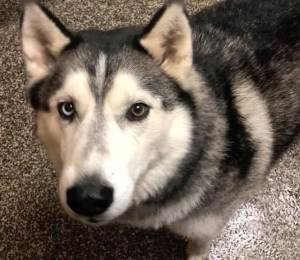 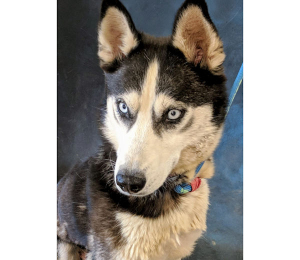 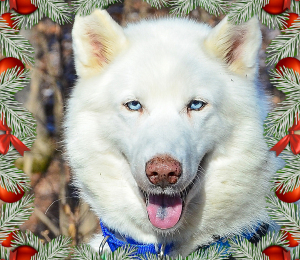 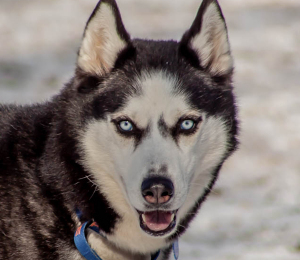 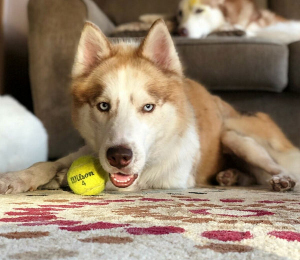 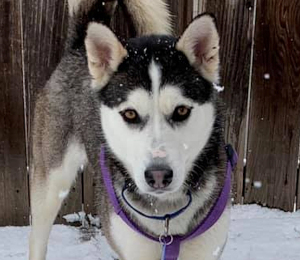 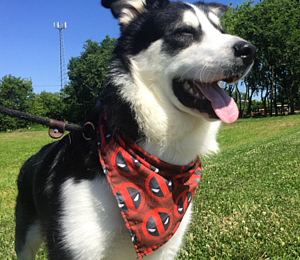 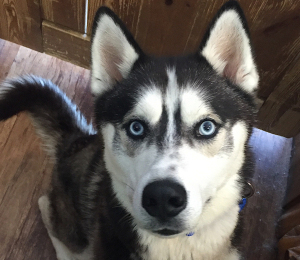 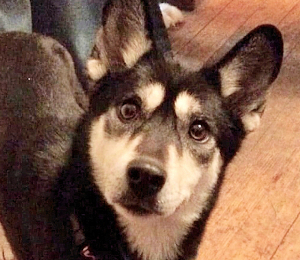 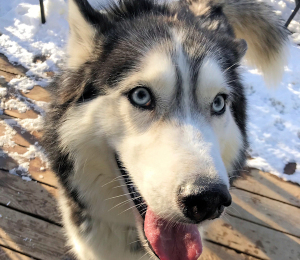 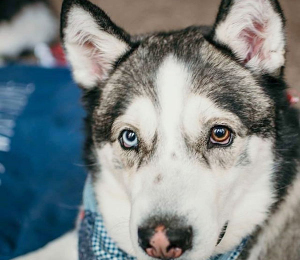 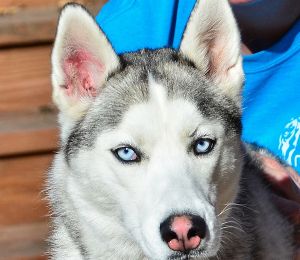 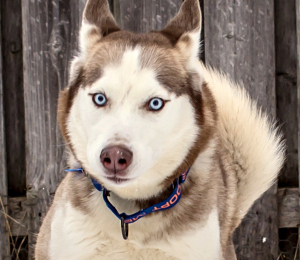 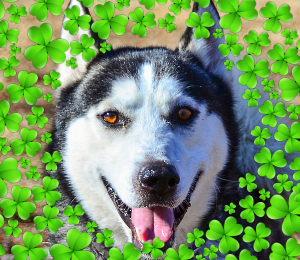 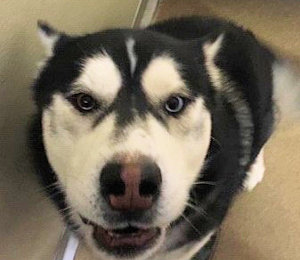 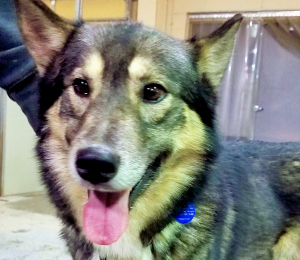 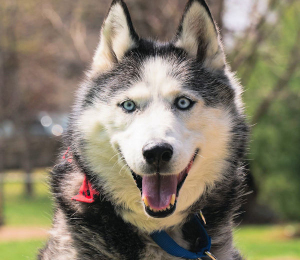 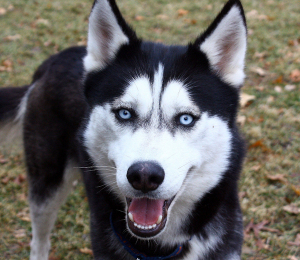 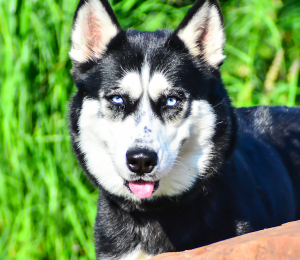 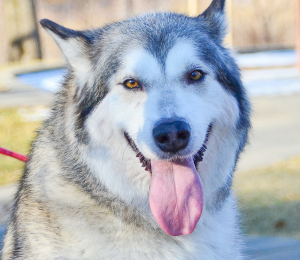 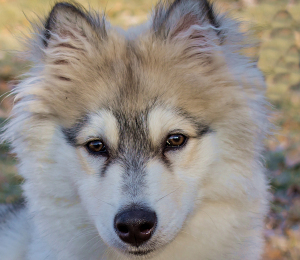 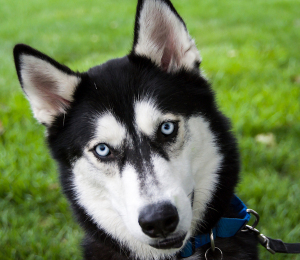 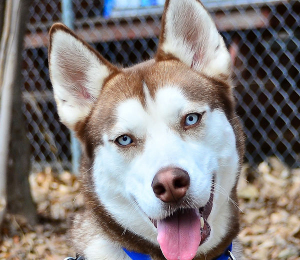 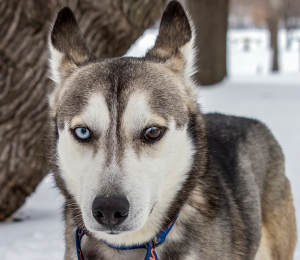 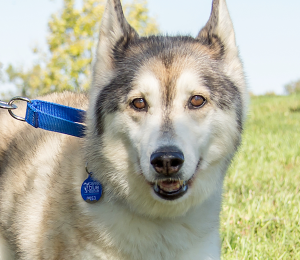 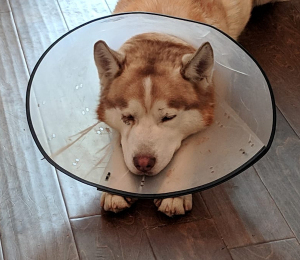 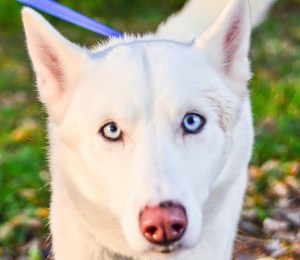 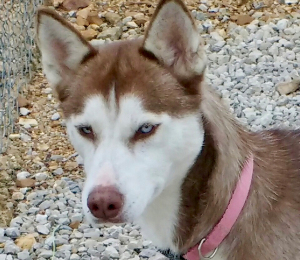 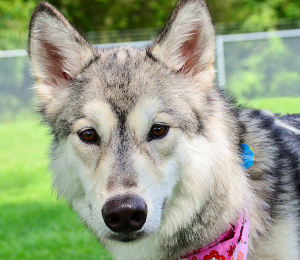 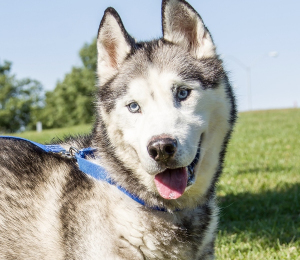 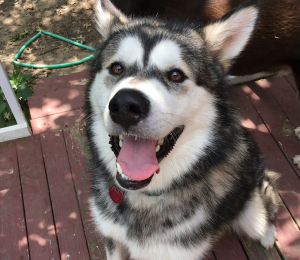 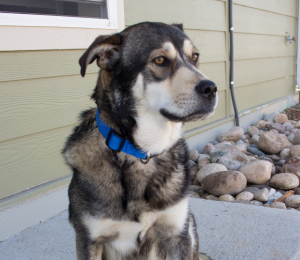 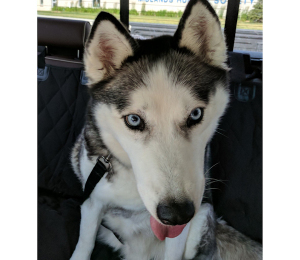 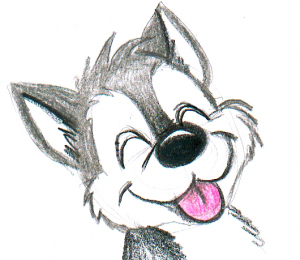 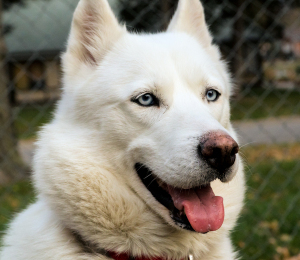 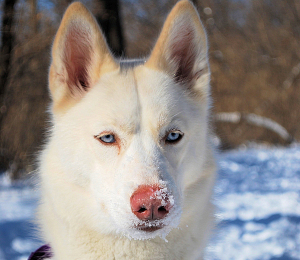 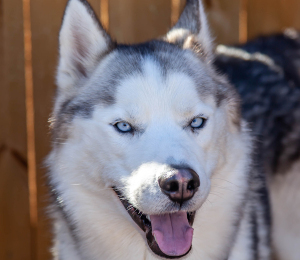 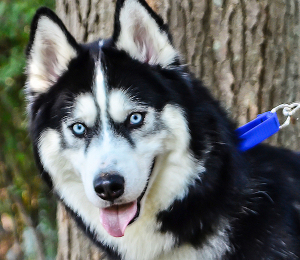 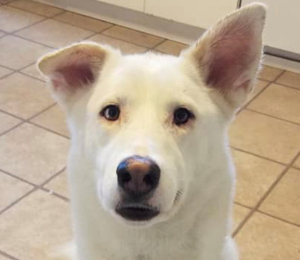 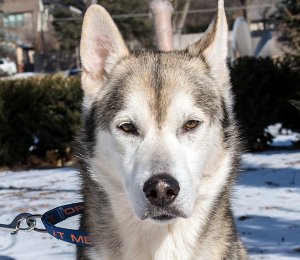 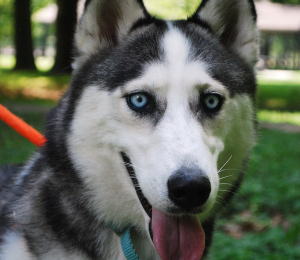 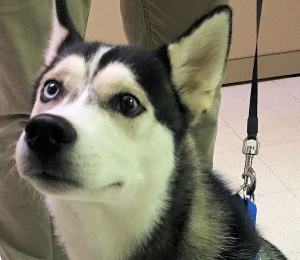 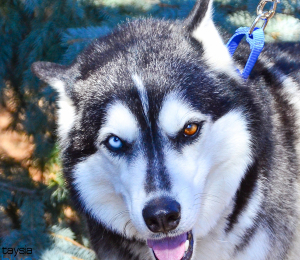 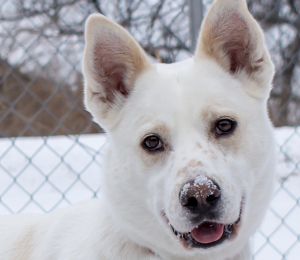 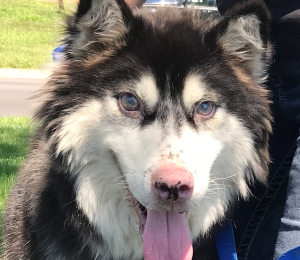 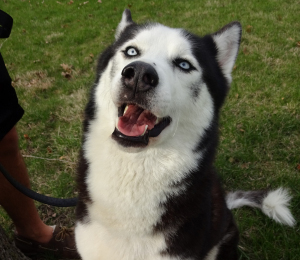 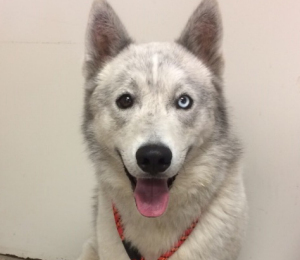 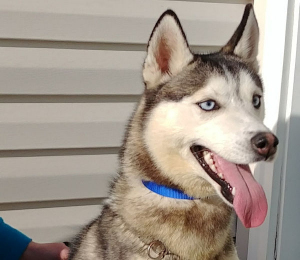 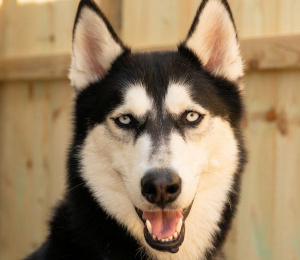 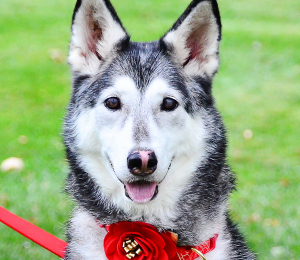 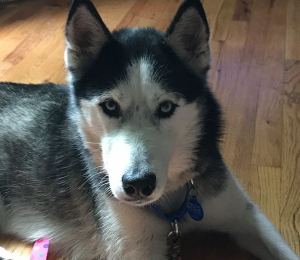 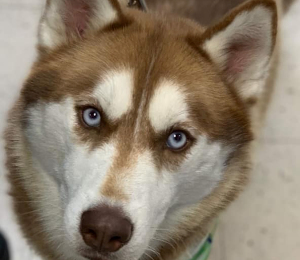 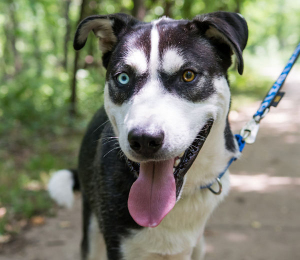 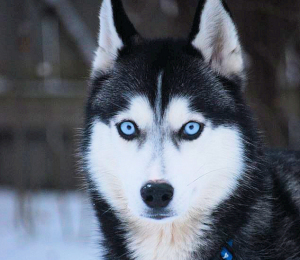 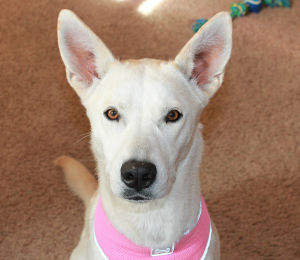 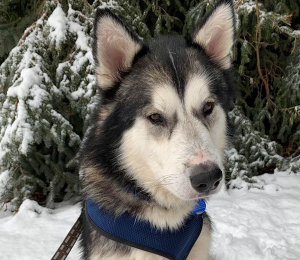 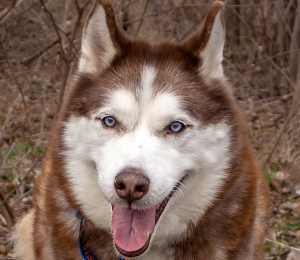 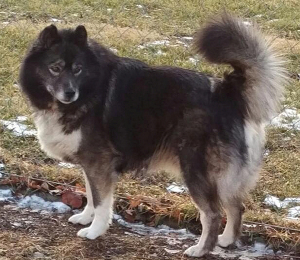 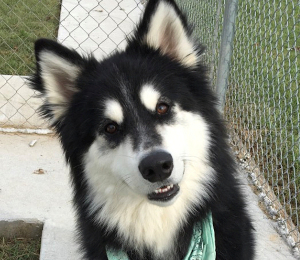 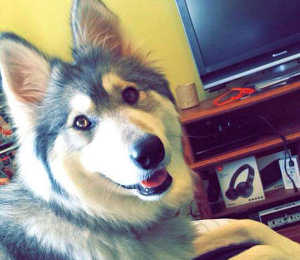 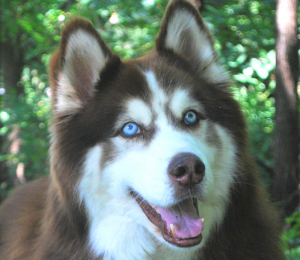 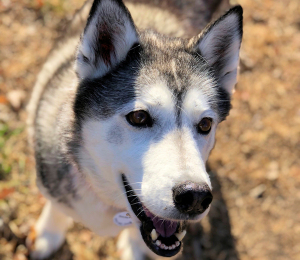 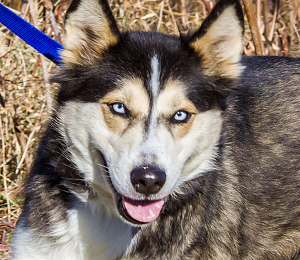 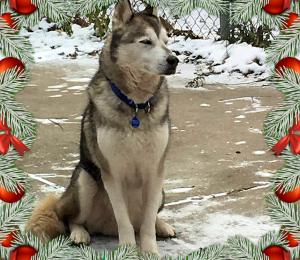 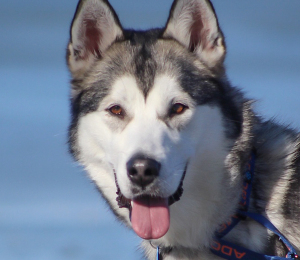 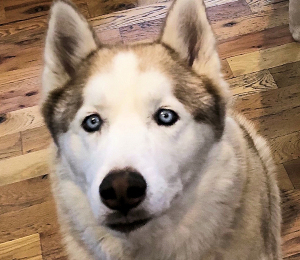 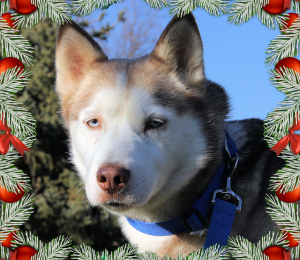 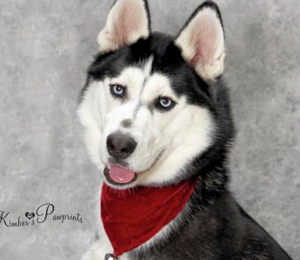 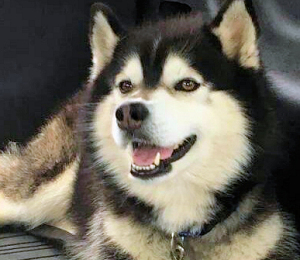 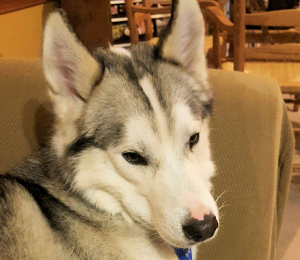 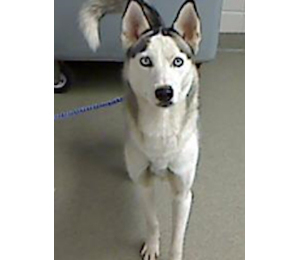 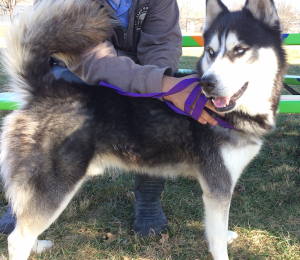 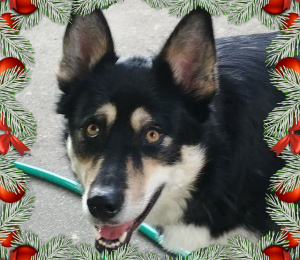 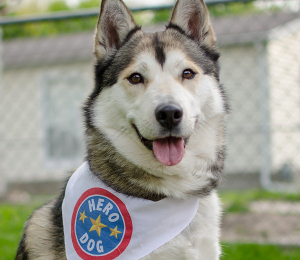 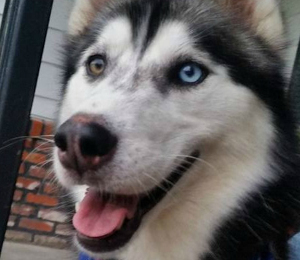 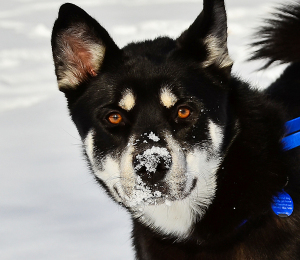 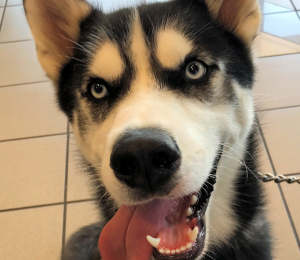 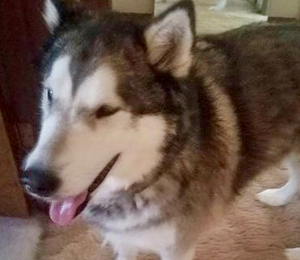 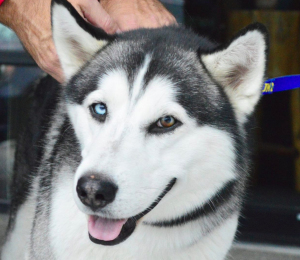 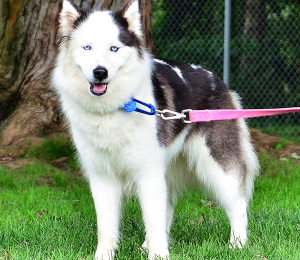 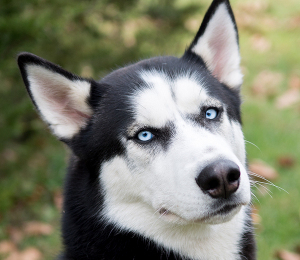 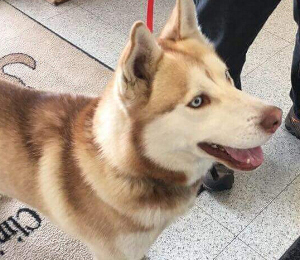 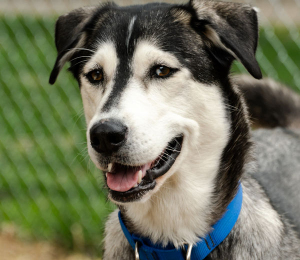 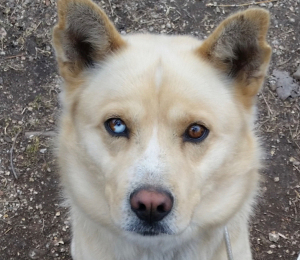 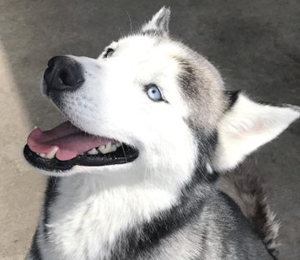 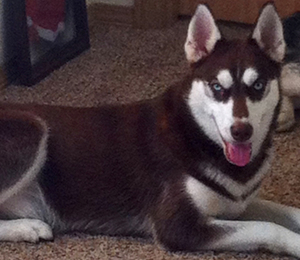 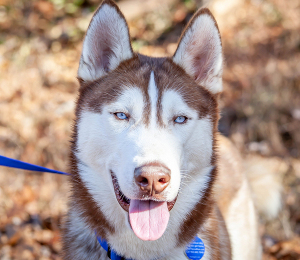 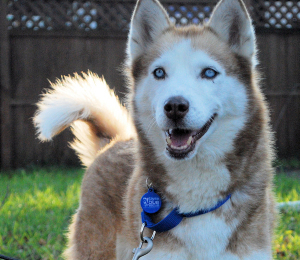 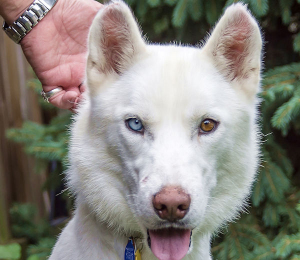 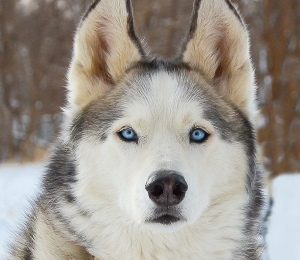 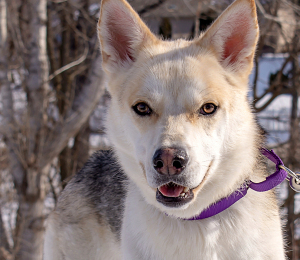 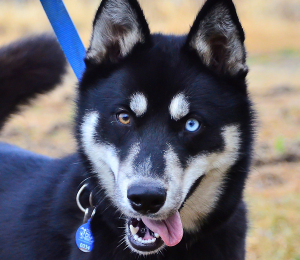 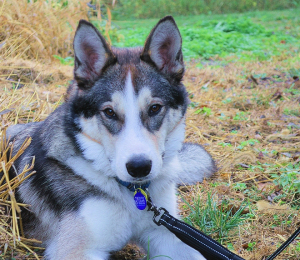 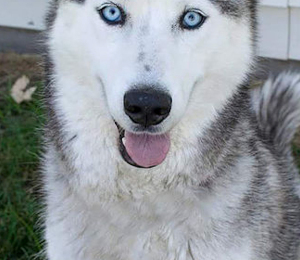 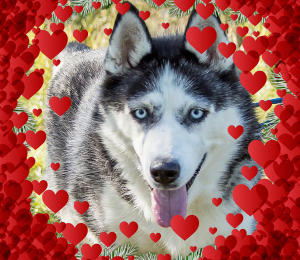 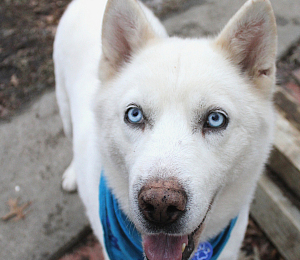 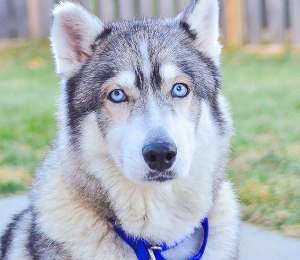 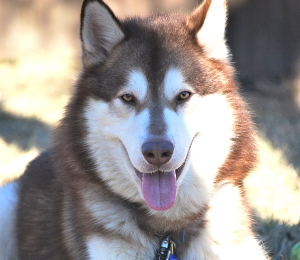 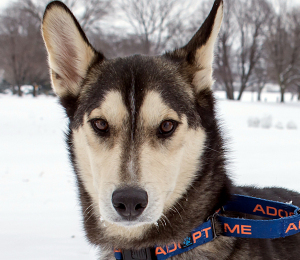 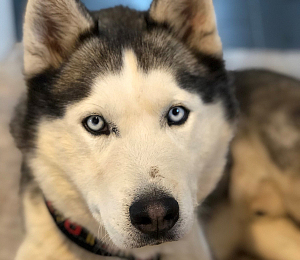 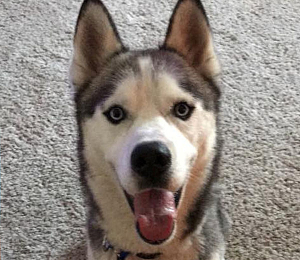 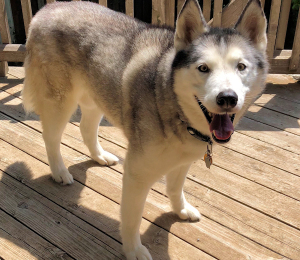 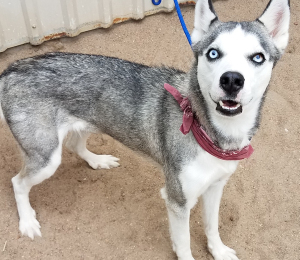 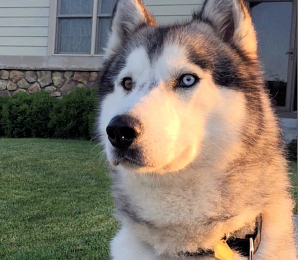 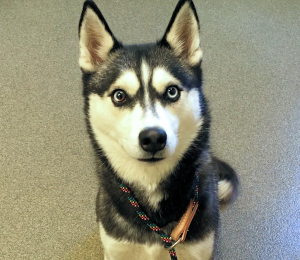 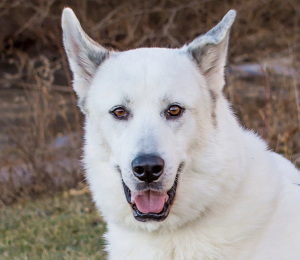 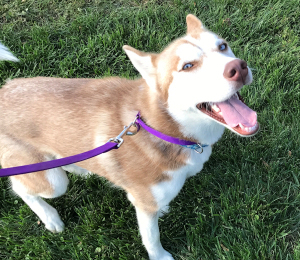 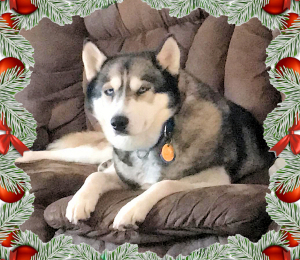 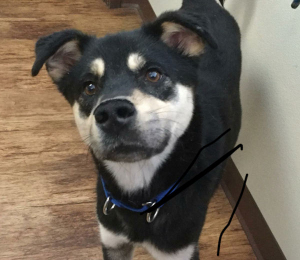 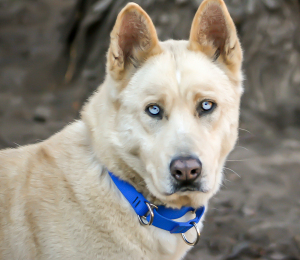 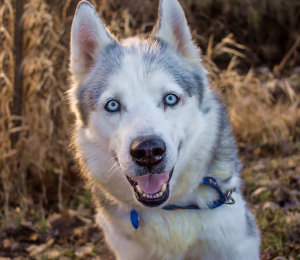 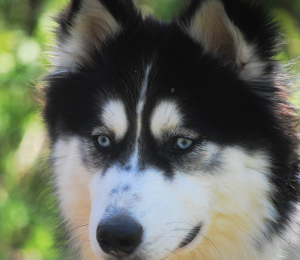 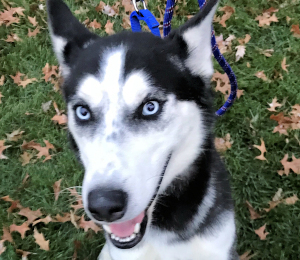 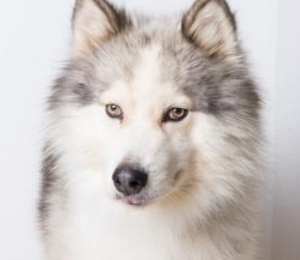 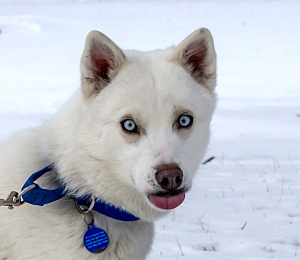 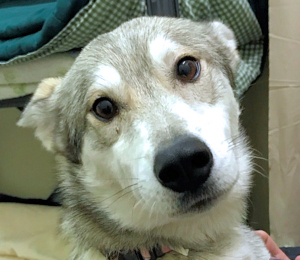 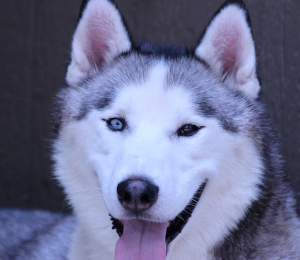 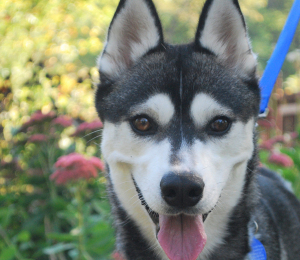 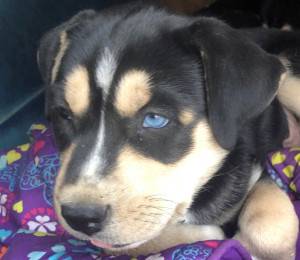 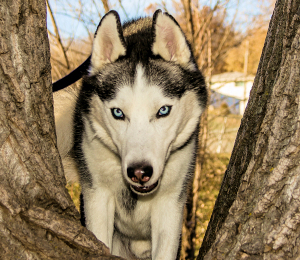 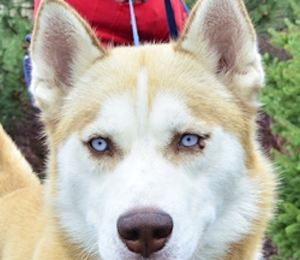 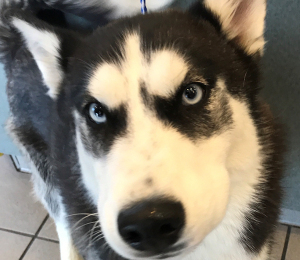 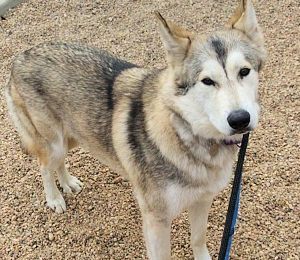 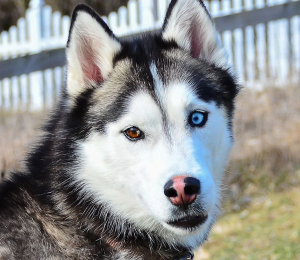 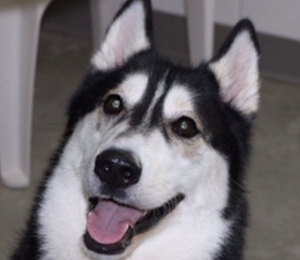 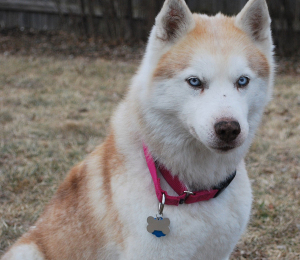 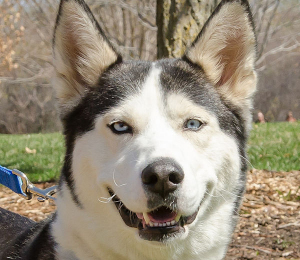 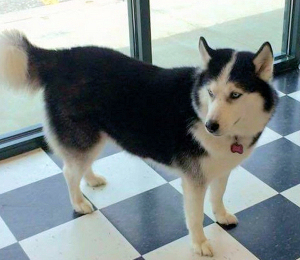 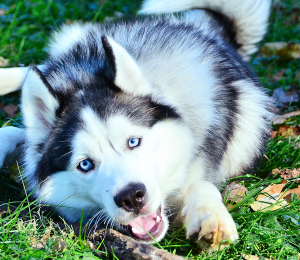 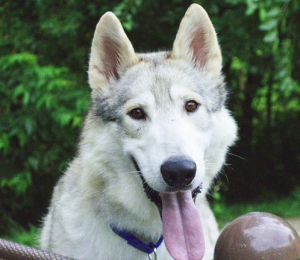 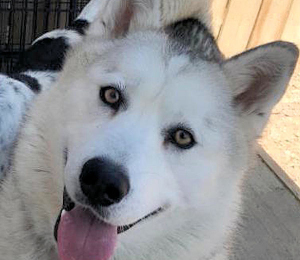 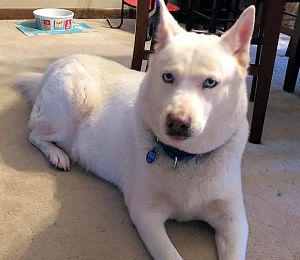 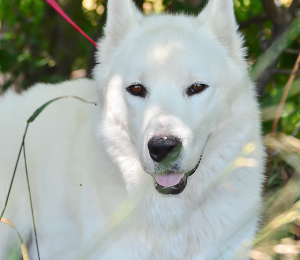 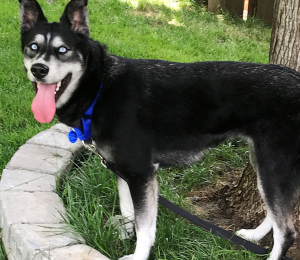 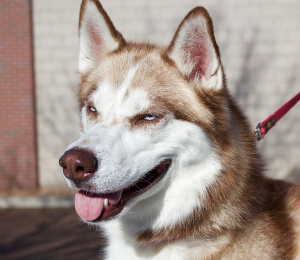 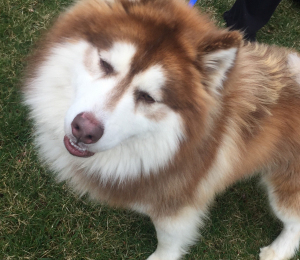 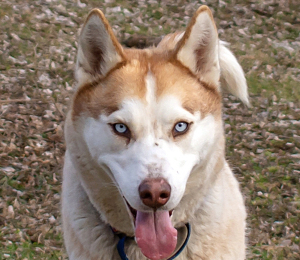 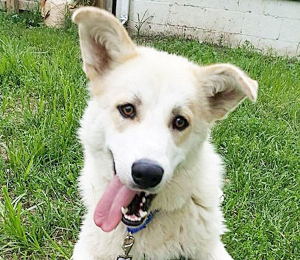 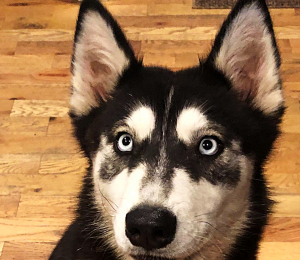 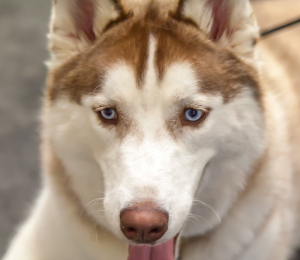 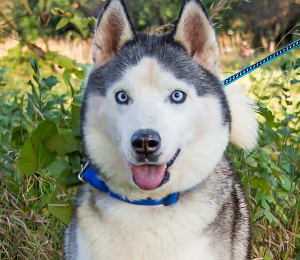 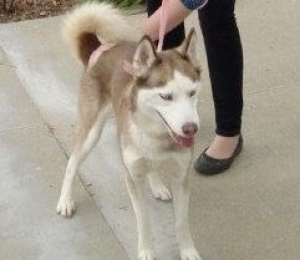 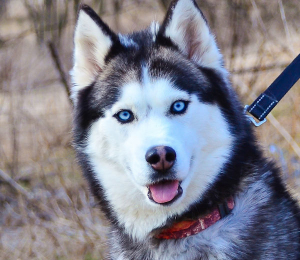 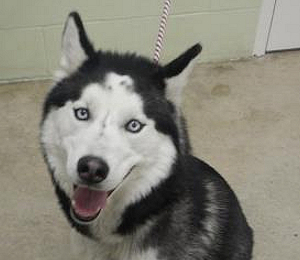 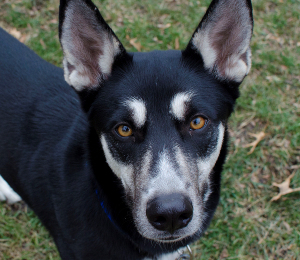 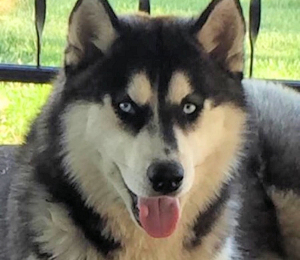 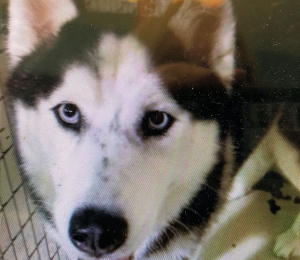 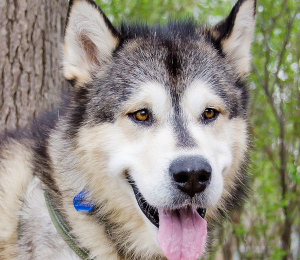 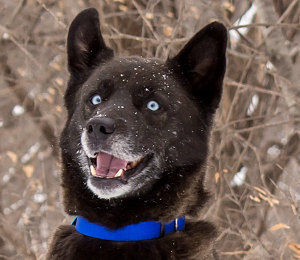 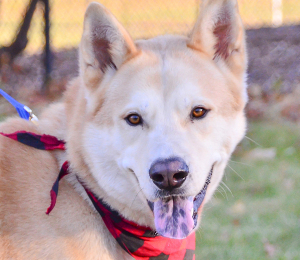 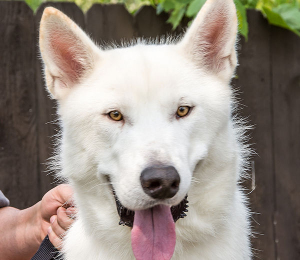 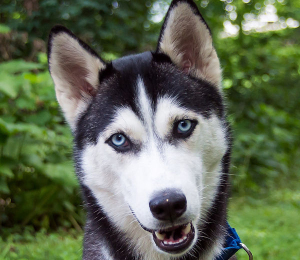 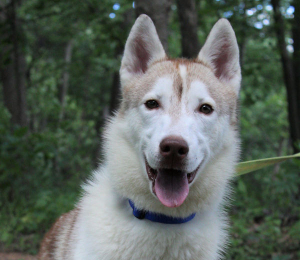 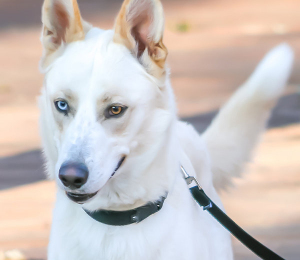 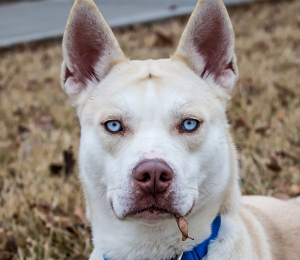 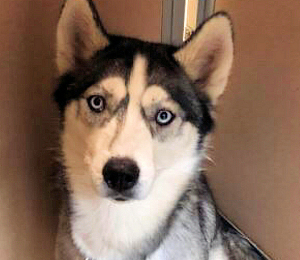 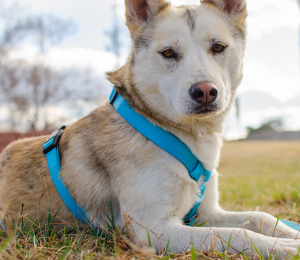 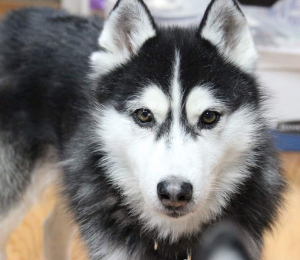 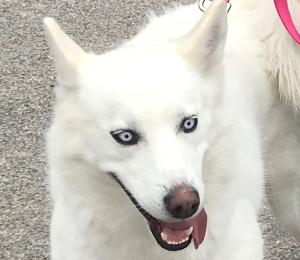 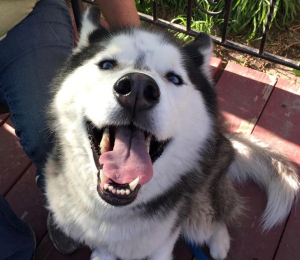 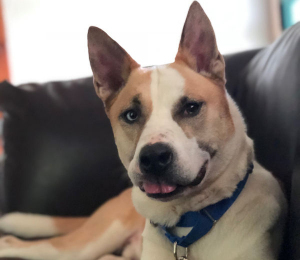 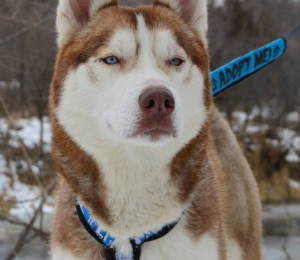 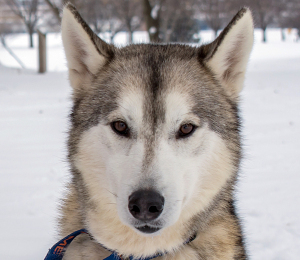 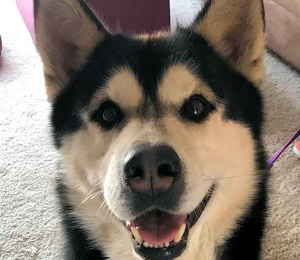 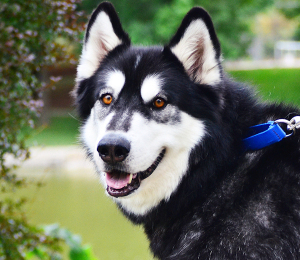 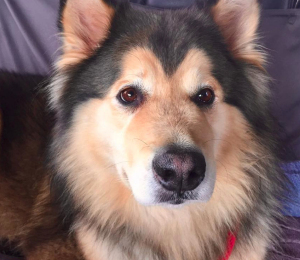 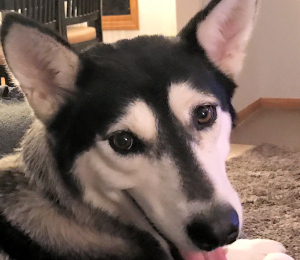 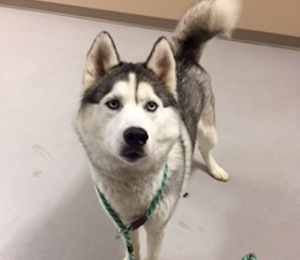 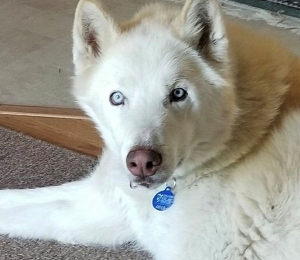 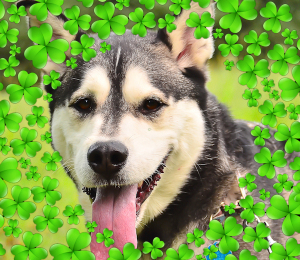 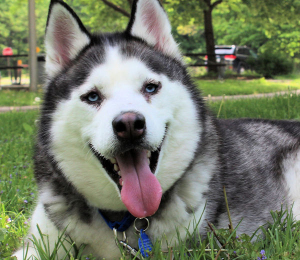 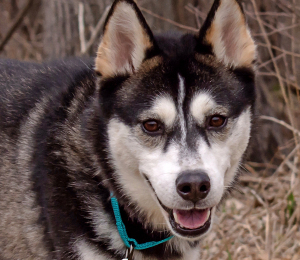 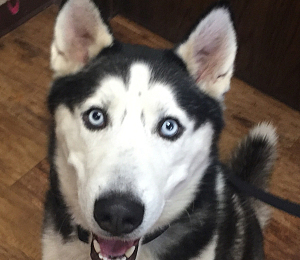 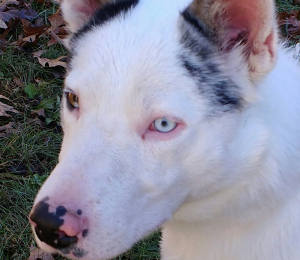 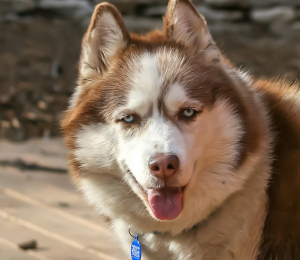 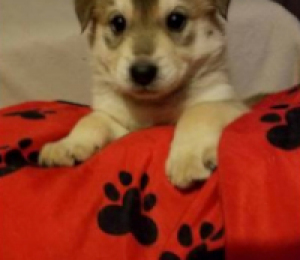 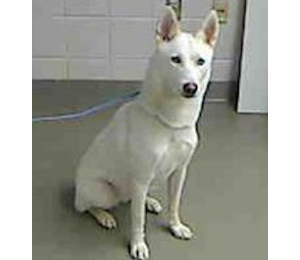 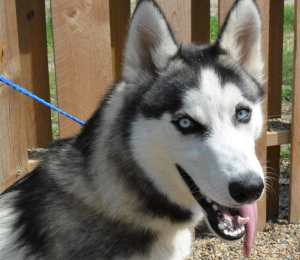 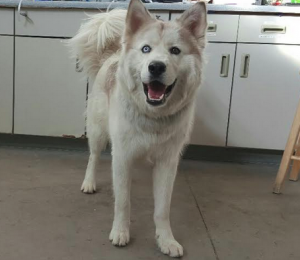 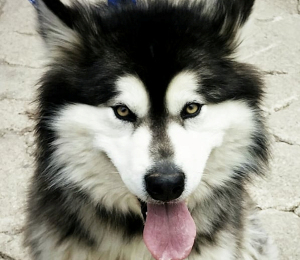 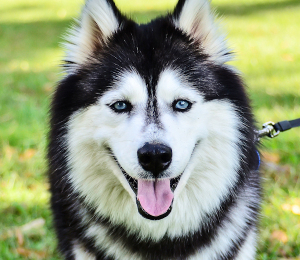 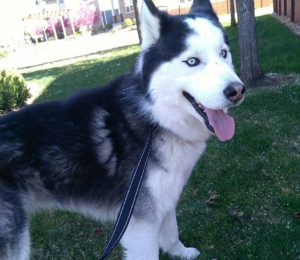 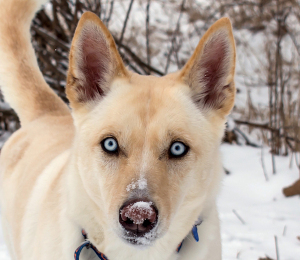 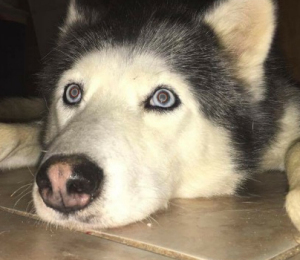 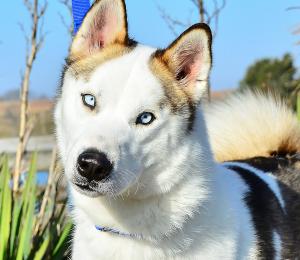 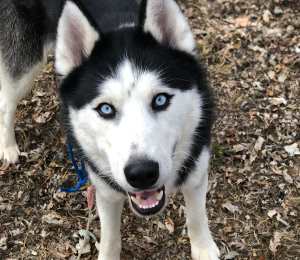 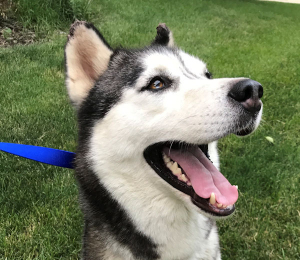 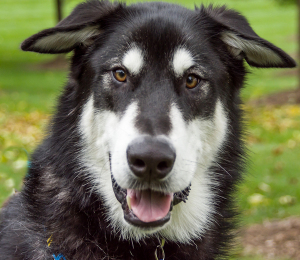 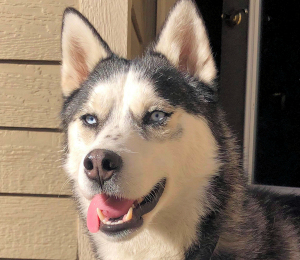 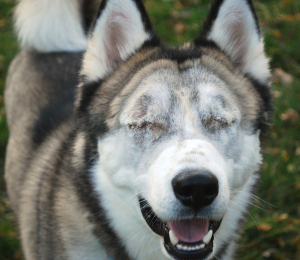 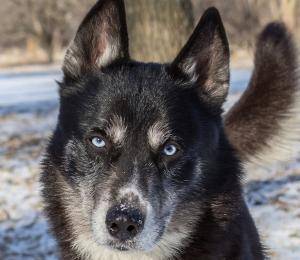 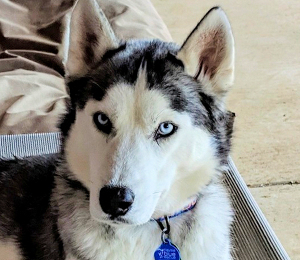 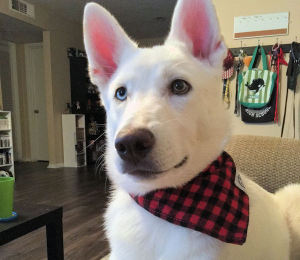 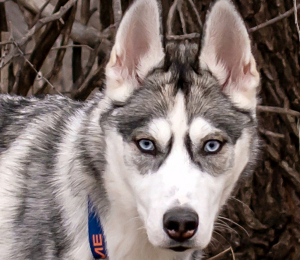 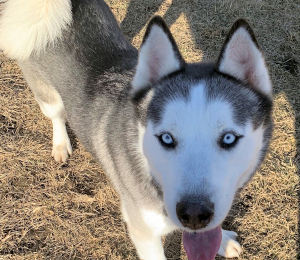 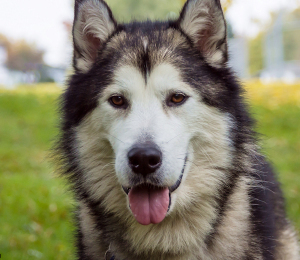 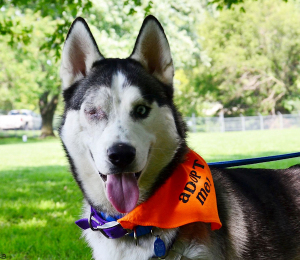 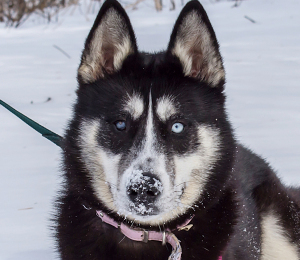 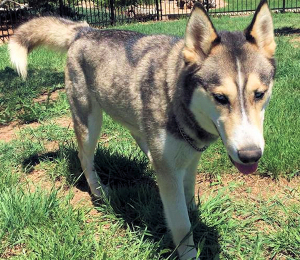 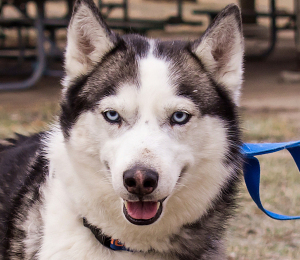 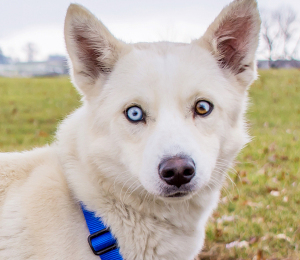 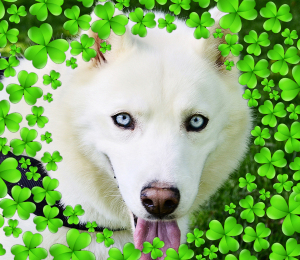 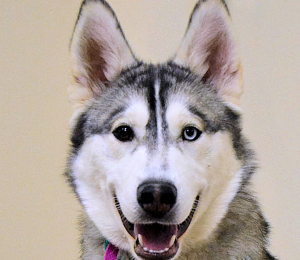 I am an Alaskan malamute / Siberian husky mix with gorgeous blue eyes that are sure to melt your heart... and wait till you feel my fur, it's the softest you have ever felt! 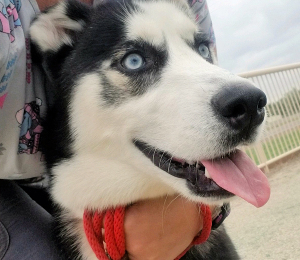 I love to swim, cuddle and go for long walks and I'd really like to find someone who is willing to spend some time playing with me and give me jobs to do! 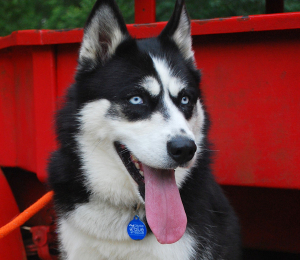 I am very patient with kids, but not so much with cats and small livestock! 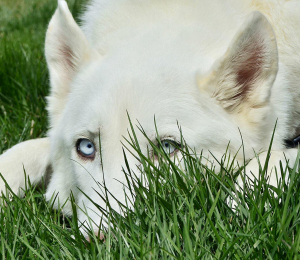 I wanted to take up rock climbing, but living in the flatlands I had to settle for fences so I do need a securely fenced yard. 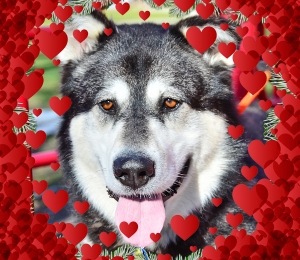 I really want to be someone's big cuddle bug, lap dog.... might that be you? 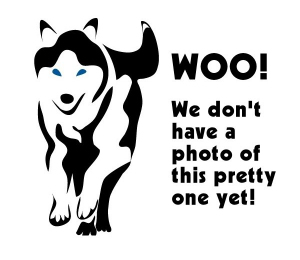 See our photo galleries for more pictures!